SuperDigitalCity.com, now an authorized Photoflex dealer, is promoting its brand new selection of the manufacturer's professional lighting tools. SuperDigitalCity, an online digital photography superstore, recently announced its new status as an authorized dealer of Photoflex lighting equipment. The retailer has already updated its inventory with over a dozen Photoflex products, each of which typically ships within 24 hours. "Photoflex is renowned for its versatile, top-quality photography lighting equipment, and we're excited to be able to offer these products to our shoppers alongside other top brands such as Profoto and Wescott," said Jack Hersh, Marketing Director of SuperDigitalCity. SuperDigitalCity's expanded inventory includes an assortment Photoflex soft-boxes, with many models featuring removable interior components to accommodate a range of lighting situations. The manufacturer ranks many of its soft-box products among its Essential Lighting Tools on Photoflex.com for their flexible configurations and high-quality performance. Distinctive for its eight-sided shape, the 5' Photoflex Octodome soft-box provides generous light spread in a compact space; the Octodome also boasts interchangeable silver and gold panels that can be added over the soft-box's white interior for flexibility on the set. SuperDigitalCity also features several of Photoflex's HalfDome soft-boxes, which offer narrow profiles conducive to group portrait hairlights and sleek, catch lighting in product photography. Another new item, Photoflex's Starlite QL delivers flattering studio lighting for both portrait and glamour shots, in addition to video applications. The Starlite QL's tungsten lamp provides a warm lighting spectrum designed to work with Photoflex soft-boxes to even skin tones and mask blemishes. For added convenience, the Starlight QL sports a modular, quick-lock design to facilitate secure positioning at any angle. Designed for outdoor photography, the Photoflex TritonFlash Lithium OctoDome Strobe Kit delivers 750 full-power flashes per charge, facilitating large-scale shots in bright sunlight. The Strobe Kit's fast recycling can support as many as six shots per second to cover high-action events such as weddings, sports games, and scientific photo shoots. The environmentally friendly lithium ion battery pack is also conveniently lightweight at 22 ounces, and the battery charger doubles as a 100-240 volt AC converter for international operation. SuperDigitalCity provides affordable pricing and dedicated customer support to both professional and amateur photographers. The retailer strives to respond to shoppers' questions and feedback both pre- and post-sale to deliver a hassle-free purchasing experience. 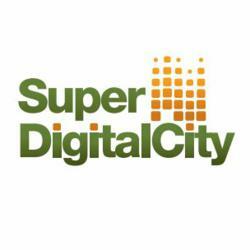 For easy access, SuperDigitalCity can be reached by phone at 800-SDC-0878, email at sales [at] superdigitalcity.com, or online at http://www.SuperDigitalCity.com, which offers live-chat support. The merchant is also present on Facebook and Twitter at http://www.facebook.com/SuperDigitalCity and http://twitter.com/SDCPHOTO, respectively. Founded in 2005, SuperDigitalCity is part of the retail division for OMI (Omega Merchants Inc.).